What Branch Of The Family Tree Does Patty Belong? National Geographic had a good graphic of Homo Habilis and Homo Erectus and I added Patty so you could form an opinion as to possible similarities. Of course the NatGeo illustrations are just guessing as to hair and made it overly similar to modern man. If you could see the outline of patties face without all the sartorial excess she has a structure you can see from the shadows that is very similar to these. Some or other of these they are not sure if they fall more in the Homo or Australopithecus lineage so the borderline of ape versus man is still being debated. I don't see much similarity. I think Patty's facial features look like a very heavy modern human under that hair, not all that much like any of the reconstructions of ancestors from the deeper past. Are you familiar with Harvey Pratt's drawings from Paulides' books Tribal Bigfoot and The Hoopa Project? That's what she looks like to me. I think it gives some weight to the need to look harder into the theory of a hybrid as we move forward rather than throw it out just because Ketchum's work was so horribly flawed. This is one of those "I don't know" situations and since I don't know I'm not willing to dismiss any possibilities. When I read reports and in my mind picture what a lot of bigfoot are reported to look like I feel like patty would have been an out of shape or obese version of what is commonly described. She appears much less athletic and "V" shaped than what we are used to seeing/ being reported. Now this is in no way suggesting she is not a BF, just that she may have been older, or heavier than what is typically reported. That all being said, if she is close to humans in DNA, like humans, when weight is added then the face can quickly become a spot of distortion. If she is a BF i would guess she is older and not in quit the shape other BF could be in, thus her face would not be a great example to compare to other early hominids. Thanks for the replies, you both make very good points. better approximate what Patty would look like. I see similarities in the lips, receding chin, receding forehead, large cheek muscles. Whether human, hybrid, Australopithecus, hominid, great ape variation it certainly gives your imagination plenty of fuel. What with CRISPR genetic editing perhaps you can build your own variety. Just need a complete genetic sequence. That is the first I've read to describe her appearance. Is this just your opinion or something you have read / heard postulated? The millions of years between Habilis and Patty would necessarily require a fair amount of evolutionary change. The two would not resemble each other. Yet Great Apes resemble each other although they diverged as long ago. We also have a high resemblance and Patty is different enough to be registering the additions of evolutionary genetics. My opinion but as usual I have my reasons for saying so. Besides. If there weren't pregnancies then how the heck are we ever gonna get more of 'em LOL. I dunno. I've seen some real close calls out there on that Any, you are correct. Fair enough, I can accept that opinion as well as any as to describe her appearance. There is no more proof you are correct as to you being incorrect. At this point I see the whole video as inconclusive either way. I do not believe it to be anymore a hoax as I do to it being real. 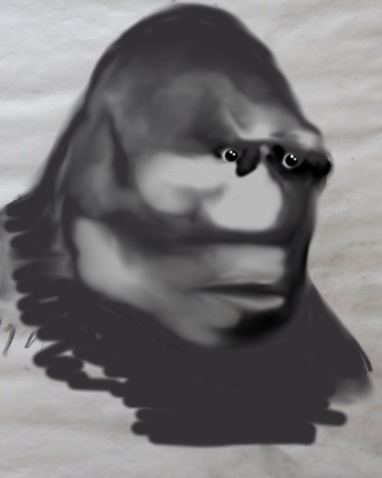 I see it as being a very realistic view of what a bigfoot, if real, could resemble. If that makes any sense...lol. Watch Bill Munns presentation. Especially the part where Brian Brown attempts to wear the Patty mask. To think this creature is remotely like us is folly. The severely sloped forehead and heavy heavy brow ridge on Patty suggests something resembling a branch of bipedal hominoid much more akin to Lucy or other pre Homo apes. Add to that we see NO evidence of fire or stone tool manufacture butresses that hypothesis! What makes humans human? Is our STUFF! Even Homo Erectus packed the hand axe from Africa to Asia.....he never lost that technology. And its over one million years old. So if Sasquatch is human? Ummm is a Chimpanzee human too then? How big of a net are we casting here? 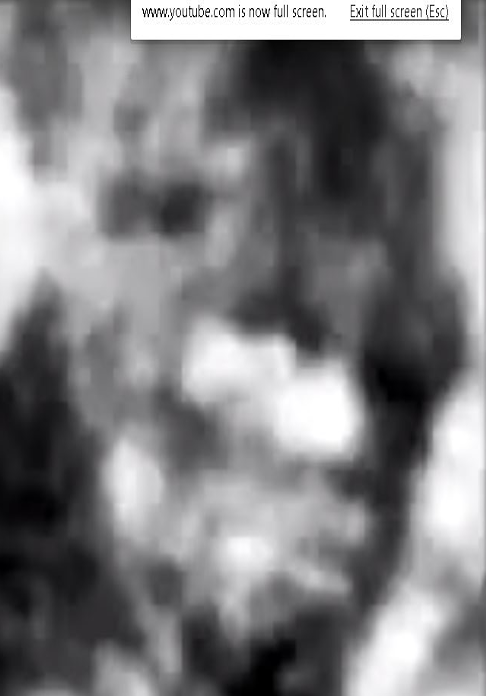 Sasquatch reportedly has infrared night vision, makes no fire and no stone tools and sleeps naked on the ground.......eats meat raw and leaves tracks in three feet of snow barefooted. It's Human because we want it to be........its like some sort of weird species "only child syndrome" on our part. What evidence do we have that its smarter than a Chimpanzee? Howls and wood knocks in the night? Thats the best they can do to communicate with us? Hogwash! There were howls in the night during some of our fraternity/sorority mixers back in college that were rather interesting. If we study our closest relative, we learn a lot about ourselves. If we extrapolate from our own evolutionary imperatives that in, in turn, could tell us a lot about a hypothetical Bigfoot and why it may be the way it is. So to do a scientific approach justice you would have to consider the Hominid factor, whether you wanted to or not, to remain logical. PS: Not human but if, say, Homo Habilis, what we came from and that is what is different from Chimps, Apes, etc. Upright walking, abstract reasoning, speech. That is where the debate comes in. I've got my money on a Heidelbergensis descendent.